Please join us for a memorial gathering remembering Dr. Erich Schwandt, Professor Emeritus of Musicology in the School of Music. Dr. Schwandt passed away in Victoria on August 2. A native of California, he attended Stanford University for his entire academic training, where he studied harpsichord with noted American musicologist, Putnam Aldrich. 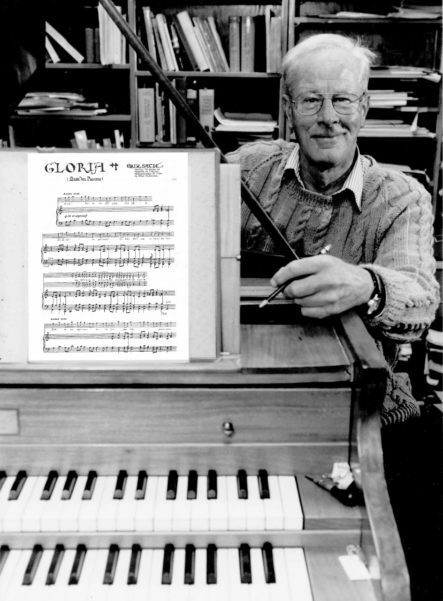 After a period of teaching at the Eastman School, Schwandt came to UVic in 1975, where he taught until he retired in 2001. A gentle and witty man, much beloved by his students, he continued to be a presence at the university after he retired, and for 30 years played the huge Clearihue organ at every convocation ceremony in the University Centre Farquhar Auditorium until spring 2013.